There has been a noticeable change on the Central Coast horizon in recent times, a change which is largely to do with the scale and calibre of developments happening across our local landscape – developments which are helping to revitalise our towns, cities, suburbs and commercial centres, and creating local jobs. Regional Development Australia Central Coast (RDACC) is recognising the value and impact this critical sector has on our local economy through its ‘Quality Development on the Coast’ Series, designed to highlight the landmark work of local developers and the invaluable contribution they make to the continuing viability of our entire region. RDACC CEO and Director Regional Development, John Mouland, said the Central Coast development and construction industry is one of the fastest-growing sectors in the region. “In 2017/18, the construction industry had the largest number of total registered businesses in the Central Coast Council area, comprising 23.6% of all total registered businesses, compared to an average of only 15.8% elsewhere in NSW,” said Mr Mouland. “Our local construction industry also represents the second largest increase in value to the Central Coast economy in recent times (after health care and social assistance) – growing by more than $230 Million in 2012/13 to be worth a total of $813 Million to our local economy today. RDACC Chair, Phil Walker, said the Central Coast has been attracting unprecedented investment of late, and this is largely due to the confidence shown by our local developers in a multitude of landmark projects. 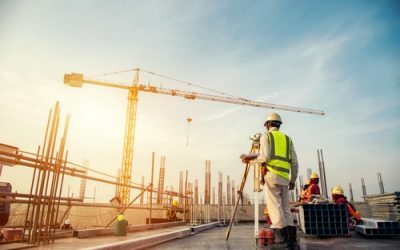 “The rise of quality development across the Central Coast is playing an important role in attracting investment, creating employment — the Central Coast construction industry employs almost 13,000 people — and raising the bar in regard to the Central Coast’s overall reputation and people’s perceptions of our entire region,” said Mr Walker. “Recently we’ve witnessed significant investment in the Central Coast from both our State and Federal governments, as well as the private sector. Last month alone, we heard announcements regarding $2.8 Billion to spearhead the Tuggerah Precinct activation and $350 Million for the Northside Medical Precinct development. CKDS Architecture Director and UDIA Central Coast Chairman, Caine King, said the changing shift of development on the Central Coast is a welcome change, citing that the future developments are designed with the goal of shaping our future cities and suburbs. “The new direction of the Central Coast should be focused on Quality and Design Excellence, extending beyond the build environment to landscaping, infrastructure, transport and utilities,” said Mr King. “The Central Coast is a stand out location. Having a series that focuses on these qualities will only add pride, confidence and ownership to this region.